This year marks the 100th anniversary of ‘abdu’l-Bahá’s visit to North America. 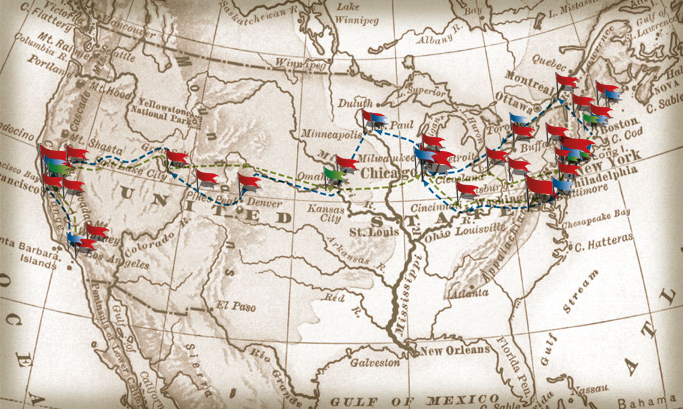 Given that He was a prisoner until a very mature age, undertaking this incredible journey in the early 1900s really shows his love and dedication. The Master (one of ‘Abdu’l-Bahá’s many titles) travelled between August and December 1911 through Europe, visiting France, Switzerland and England. He then boarded a ship bound to New York city where He arrived on the 11th of April 1912. Baha’is in the United States are celebrating this year the 100th year since this historic event. By the time of His arrival, 19 years had elapsed since, by fortuitous circumstances not involving any Bahá’í, the name of Bahá’u’lláh was publicly mentioned for the first time in the Western Hemisphere. It happened in Chicago on September 23, 1893, almost a year and a half after the ascension of Bahá’u’lláh, at the World’s Parliament of Religions which was connected with the Columbian Exposition commemorating the four hundredth anniversary of the discovery of America. Thus began the first episode in the history of the Bahá’í Faith in America. By February 1894, a Syrian doctor who had accepted the Faith in Cairo arrived in Chicago and began a vigorous effort to teach the new religion. Within two years hundreds professed their belief in it; additional conversions took place in other major cities to which he traveled. The laying of the foundation of the American Bahá’í community had begun. The enthusiastic members of the newly born community lost no time in initiating correspondence with ‘Abdu’l-Bahá while He was still a religious prisoner in the fortress at Akka in Ottoman Palestine. These developments must have delighted and gratified ‘Abdu’l-Bahá, but could hardly have been wholly unexpected by Him. Shoghi Effendi, the Guardian of the Bahá’í Faith appointed by ‘Abdu’l-Bahá as His successor, indicates that in 1893, sometime before the Chicago happenings, ‘Abdu’l-Bahá had revealed a verse that had “already foreshadowed” His Western journey, “an auspicious event which posterity would recognize as one of the greatest triumphs of His ministry, which in the end would confer an inestimable blessing upon the Western world.” It was with this great expectation inspired by the Revelation of Bahá’u’lláh, that He, Who had for fifty years been subjected to imprisonment and exile for His religion, undertook, at the age of 68, the long journey from the Holy Land to the Western world. 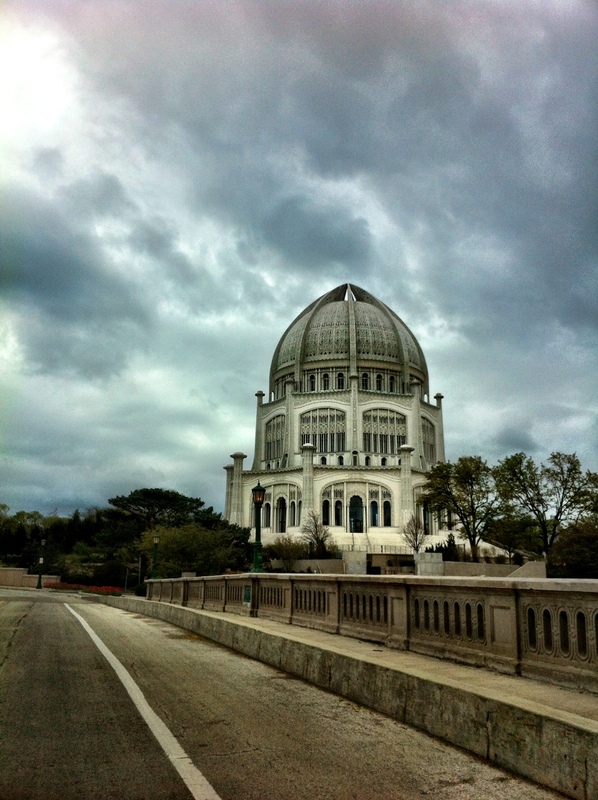 I was lucky to be able to visit the Baha’i temple in Wilmette, Illinois. There lays the cornerstone which ‘Abdu’l-Bahá laid marking where the temple should be built. He called it the “Mother Temple” since it would become the first of its kind to be built in the West. Here are some pictures of a new exhibition set up especially for this occasion at the this Temple’s visitor’s centre. CHICAGO: Saturday, April 28, 2012. Chicago Theatre, 175 N State Street. WILMETTE: Sunday, April 29, 2012. Bahá’í House of Worship, 100 Linden Avenue. WASHINGTON: Saturday, May 12, 2012. Omni Shoreham Hotel, 2500 Calvert Street NW (@ Connecticut Ave). NEW YORK CITY: Saturday, June 16, 2012. Lehman Center, 250 Bedford Park Blvd. West. SAN FRANCISCO: Sunday, September 9, 2012. War Memorial Opera House, 301 Van Ness Avenue. This entry was posted on Thursday, April 19th, 2012 at 3:59 PM	and posted in Uncategorized. You can follow any responses to this entry through the RSS 2.0 feed. « The poor. A real treasure amongst us.